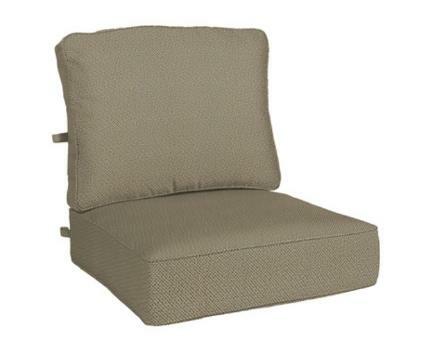 Item #7588 - Deluxe Straight-Front Deep Seating Cushion. Boxed with self welt and zipper with velcro at the seat and back. Stripes add 10% to the cost of the cushion. Order 7588ST for stripes. Fits: Berkshire, Biscayne, Molise or Orleans.